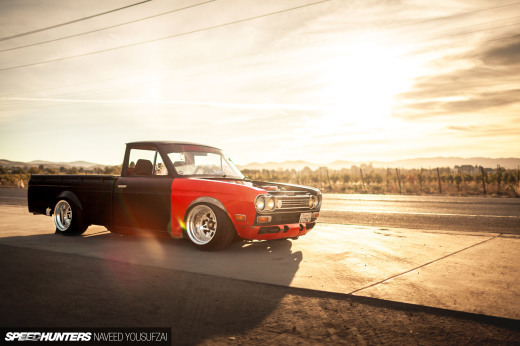 I think that clean execution is something we should always strive for in our cars. This is one area that the Japanese have massively improved on in recent years. Back in the old days, function was the only thing that most tuners cared about, but thanks to foreign influences, they’ve learnt that function can indeed be mated with form to create something even more special. 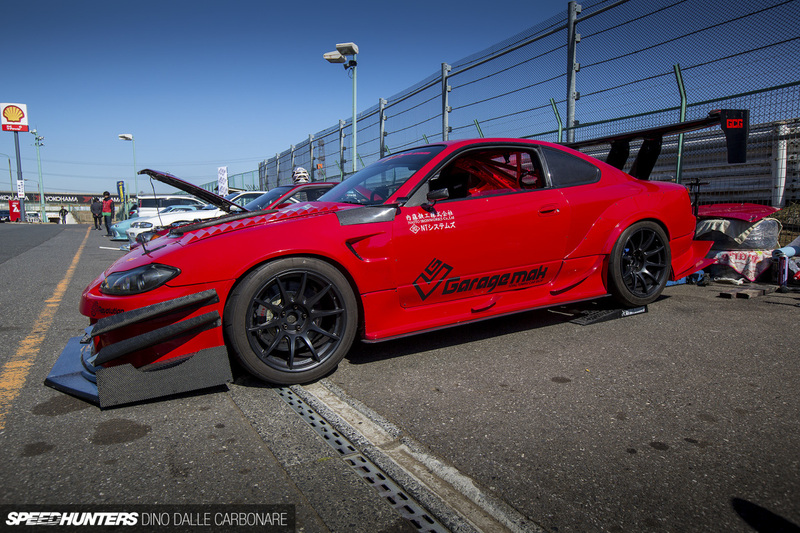 Garage Mak from Nagano has always tried to build cars cleanly, from the silver S15 we shot years back that put the shop on the map, to all the other machines they’ve built since. They’ve always had the obvious aspects covered, starting with well designed and nicely executed bespoke aero kits wearing their name, to well thought out interiors and clean engine bays. But there is so much more to building a car, and even more so when you’re talking about something built specifically for track duty. But why bother? Why spend time and money to make something that’s purely functional look pretty? It’s simple – people take notice, and that’s exactly what I did when I came across this red S15 Nissan Silvia that Garage Mak have built for a customer. The car is obviously a ground-up build, the chassis having been stripped down to bare metal, painted inside and out, and then built up piece-by-piece to create a fast and efficient time attacker. 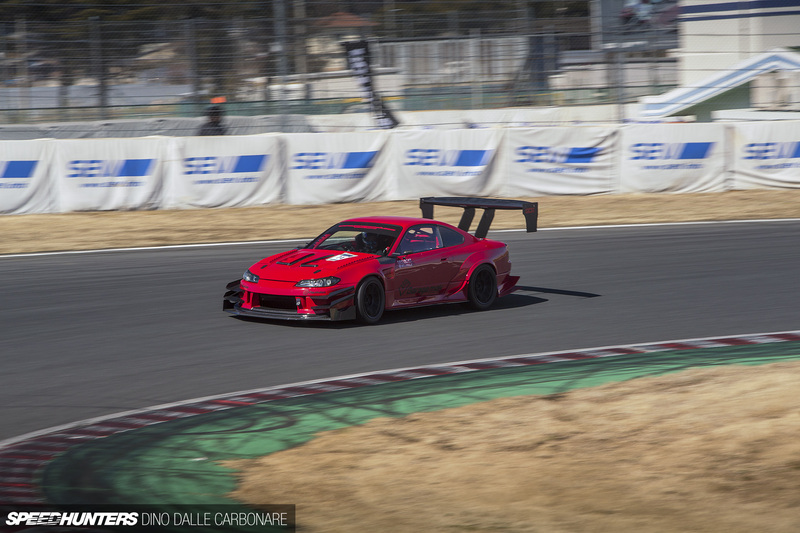 58.381 is what it lapped Tsukuba Circuit in at the recent Attack day, and that’s one hell of a time for a car wearing pretty basic (by today’s standards) aero. The stroked SR20DET takes centerstage in the shaved engine bay, armed with a GCG/Garrett turbo by its side and a large intercooler mounted in v-configuration with the radiator beneath it to get the most out the air-flow and of course minimize piping length. The cabin is clean and to the point; exposed and painted metal carries the theme across, and a carbon fiber dashboard is shaped with the same contours as the stock item. The shifter lever hints towards the S15 running a sequential gearbox, which is now becoming something of a time attack must, even at amateur level. Also taking up residence in the cabin is the oil reservoir tank for the dry sump lubrication kit, and out in what used to be the trunk area is a large custom-made surge tank for the fuelling system. The Garage Mak wide-body kit is spiced up with carbon canards at the front, along the skirts and at the rear, finishing off with a massive carbon wing and diffuser to complete what is one of the cleanest time attack S15s I’ve seen in the last few years. Yup, quality execution definitely goes a long way! LOVE garagmak. Such awesome silvias! Wow...Dino is on fire! So much win in last posts! 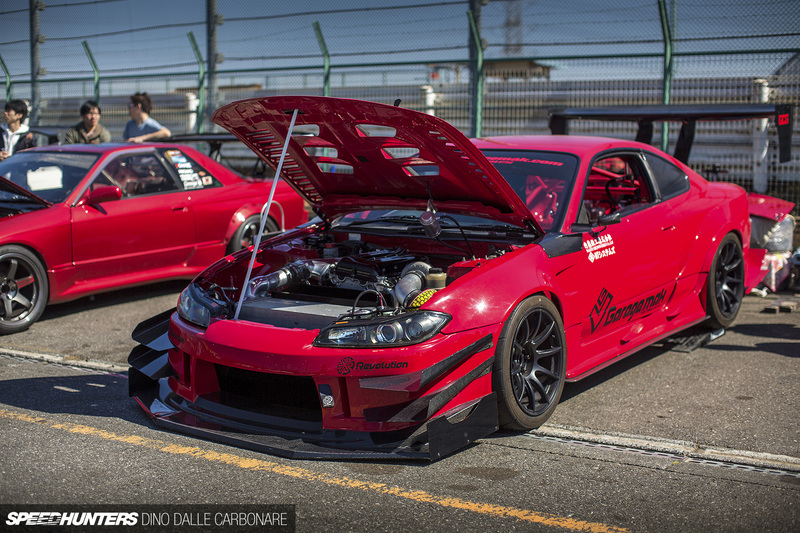 My god I wish my S15 bay looked like that. Stunning. The paintwork looks beautiful. Looks like a VET head to me... Beautiful! Garage Mak always come through with the goods. Love these cars. Dino, do you happen to know why there's no fire suppression system in this car? it seems that they've spared little expense with a full ground-up track build....but no way to put out a fire. it seems to be the only thing missing from this car. tremendous pictures of a tremendous car.